In Northeast Ohio this year, and specifically Chardon, Ohio, had a snowfall event on May 15, 2016 and anywhere from 0.25-0.5 of an inch accumulated across the area. While flying snowflakes were startling enough, the real concern and fear involved the impact of the projected low overnight temperatures. The first night on May 15, the temperatures dropped to right around freezing (34-32°F) and then on Monday evening, May 16, temperatures dropped below freezing (31-29°F) and as low as 27°F in low lying areas. While some plants had their tender foliage and new twig expansion killed outright, there were some plants that at first, seemed relatively unaffected by the below freezing temperatures. 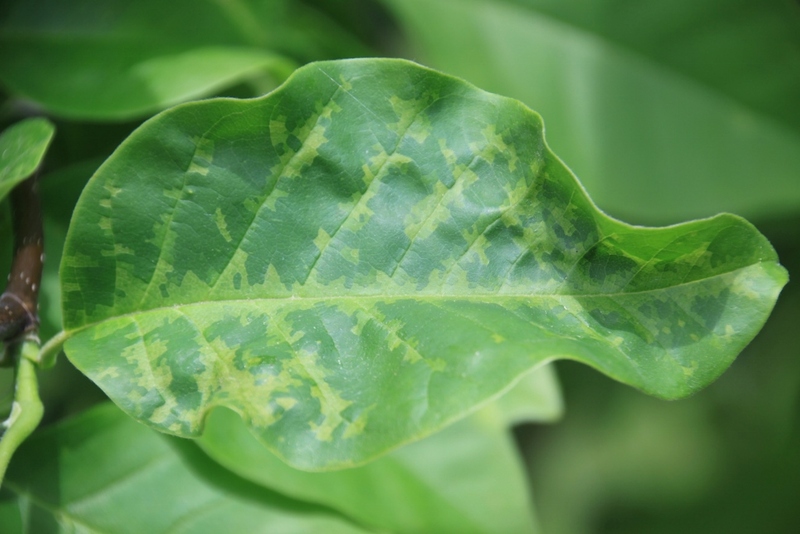 Certain Magnolias, like ‘Yellow Bird’, appeared to weather the storm admirably, but recently those plants began to develop an array of atypical damage symptoms. Of course there were partially burned and deformed leaves from the leaf tissue being frozen; however, there were other symptoms, which appeared nothing like the “typical” freeze or frost symptoms. In fact, many could be easily and incorrectly attributed to a myriad of other problems, like insect feeding, fungal spots (e.g. powdery mildew) or even herbicide damage. The salient question always asked is “Is the tree in trouble?” The answer to that questions is found in the newly emerging foliage and the rapid expansion of new twig extension, both of these indicators look pretty darn good to me!